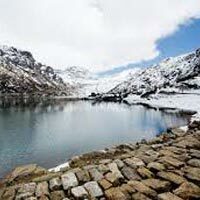 Morning Transfer To Gangtok (5500 Ft) The Capital Of Sikkim, Sikkim - The Land Of The Pristine And Un-Spoilt Natural Beauty With Alpine Landscapes And Thick Luxuriant Forests, Rivers And Peaceful Lakes, Via Peshok Tea Gardens. On Arrival Go For Local Half Day Sightseeing Covering Jhakri Water Falls, Ranka Monastery, Research Institute Of Tibetology (Closed On Sunday & Govt. Holidays), Do-Drul Chorten, Directorate Of Handicrafts & Handloom (Closed On Sunday & Govt. Holidays), Flower Show. Over Night Stay At Hotel. 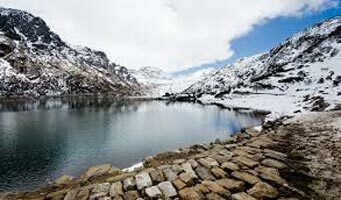 Day Excursion To Tsomgo Lake (Departure At 0900 To 0930 Am Hrs ) - Situated At A Height Of 3,780 Mts. With An Average Depth Of 50 Ft & Baba Mandir - The Shrine Maid In Memory Of Sepoy Harbahajan Singh, Back To Gangtok. Evening Free. Over Night Stay At Hotel.